As of January 2019, LMI Translations are proud partners of XTRF - a company providing cutting-edge translation management software. Making the move from a continuously self-developed translation management system (TMS) to XTRF's highly-customisable smart-workflow-centred platform saves LMI Translations years of time and resources it would spend on research and development of its own system. The new system will also enable LMI Translations to elevate its day-to-day operations to new heights - to the point where our project managers will be able to spend little-to-no time on repetitive, mundane project management tasks and really focus on providing the best possible service to our valued customers. Powerful yet easy-to-use customer portal available for customers relying on around-the-clock availability - this lets our existing customers upload straight-forward translation tasks even when LMI Translations' business hours are over ensuring that, once we are back, we can get to work straight away. 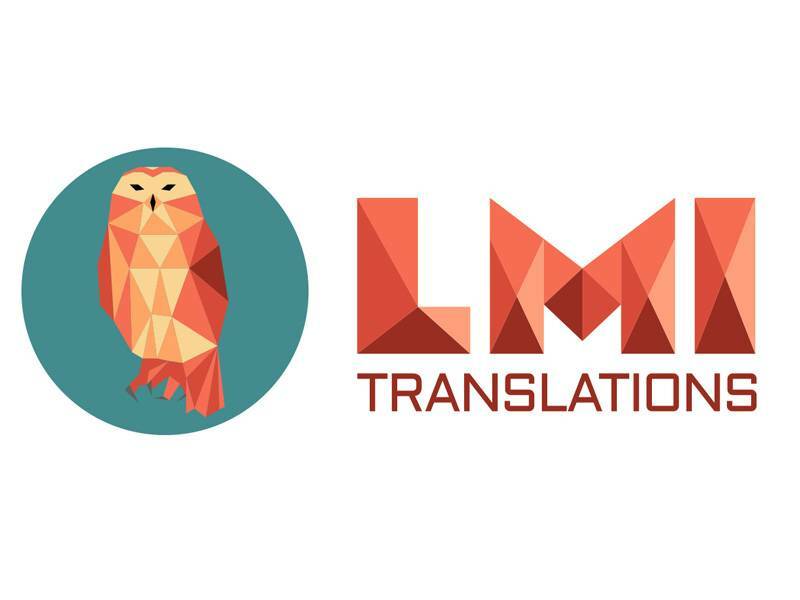 LMI Translations is confident that, by moving to the XTRF TMS, the company will be able to provide its customers with an even higher standard of translation quality and customer service. This January, LMI Translations started the year by donating EUR 500.00 to the “Palīdzēsim.lv” Foundation. The donation is to be allocated at the foundation’s discretion to children in need of financial aid for various medical treatments. The donation is made up of income LMI Translations set aside from performing translation projects and adds to the translation work LMI Translations performs in support of “Palīdzēsim.lv” free of charge. LMI Translations would like to thank our clients and translators for being with us and making this possible! Thank you! 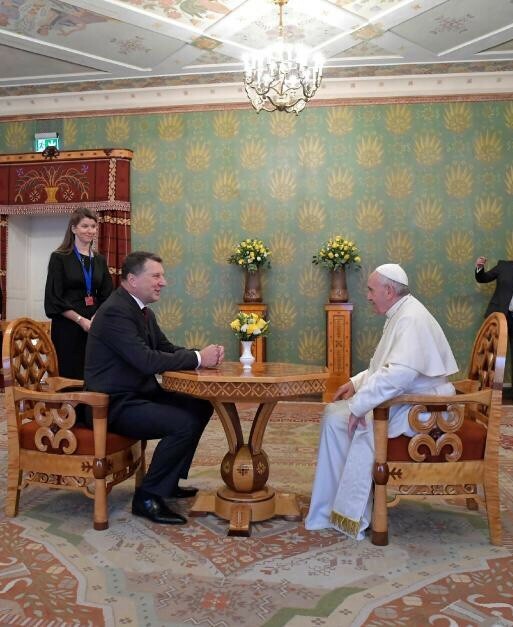 We were truly honoured to organise and provide interpreting services during the visit of the current sovereign of the Vatican City State and the leader of the Catholic Church, Pope Francis, to Latvia. We would like to express our gratitude to Hella Milbreta Holma for her outstanding performance in interpreting the meeting and speeches of Pope Francis and the President of the Republic of Latvia in the Riga Castle. In December 2017, translation agency LMI Translations successfully concluded an agreement with the Court of Justice of the European Union (CJEU) for the provision of written translation services. 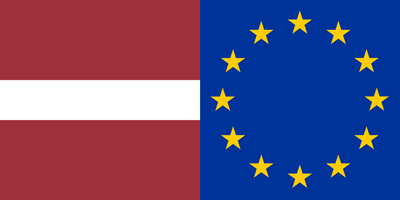 LMI Translations will provide translations into Latvian from English, Italian and Polish. As of 3 April 2017, the Riga office of LMI Translations will be moved to Krišjāņa Valdemāra Street 33-33. Our new premises will be located in the same office complex as the old ones, so visitors should have no problem finding us despite the change of address. In the new office (which is twice as large as the old one), we will be able to provide more convenient and more professional service to our customers, as well as to create a more positive and productive atmosphere for our employees. Come visit us and see for yourself! On December 1–3, we will participate in the international trade fair for mechanical engineering, metalworking, automation, electronics, electrical engineering, industrial supplies, tools and innovated technology “Tech Industry 2016”. Visit the “LMI Translations” stand at “Tech Industry 2016” in Ķīpsala and get the special event code. Use the code afterwards, when placing an order, and receive a 10% discount. Don’t be a stranger! Come meet us at the fair. On September 27–29, 2016, “LMI Translations” participated in the international metalworking fair “Alihankinta 2016” in Tampere, Finland, as part of a trade mission organized by the Investment and Development Agency of Latvia. On September 22–24, “LMI Translations” will participate in the 9th International Medical Fair “Medbaltica 2016”. The “Medbaltica” International Medical Fair is one of the most significant events of the Baltic region in the field of medicine, gathering specialists from different health sectors, representatives of professional associations and manufacturers of medical products from Latvia and abroad. Seize the opportunity: visit the exhibition stand of “LMI Translations” at “Medbaltica 2016” and get the special event code. Use the code afterwards, when placing an order, and receive a 10% discount. “LMI Translations” is constantly improving its services and structure, as well as finding new ways to become even better language service providers for its partners and clients. To this end on March 2016, our team was expanded and a new office was opened in our neighbouring country, Estonia. We feel that this further strengthens the presence of the “LMI Translations” brand in the Baltic States. Having an office in Tallinn gives us an excellent chance to expand our team of experts of the Estonian language. Moreover, this gives us the means to provide our clients with consistent, high-quality services at a more personalised level. Our Estonian employees welcome inquiries to [email protected] or +372 56862545! On 29 April 2016, translation agency “LMI Translations” received certification of full conformity to the most recent and comprehensive translation and localisation quality standard ISO 17100:2015, which was released only in late 2015. The ISO standard for translation and localisation is tied closely to all translation processes and its main purpose is to boost and maintain a higher level of quality and client service. The standard strictly regulates the way we handle translation projects (starting from our initial contact with the client all the way to post-production), as well as lays down stringent qualification and experience requirements for our vendors. Both company management and employees are truly thrilled for receiving the certificate, as it is a culmination to years of determined and diligent work and improvement. 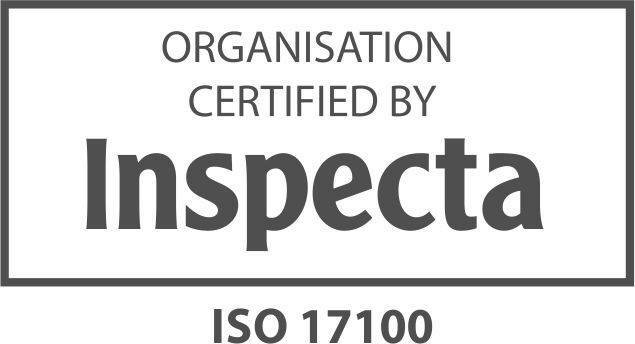 Furthermore, certified compliance to ISO 17100:2015 clearly illustrates our passion for helping our clients and that “LMI Translations” provides truly sustainable and customised solutions. 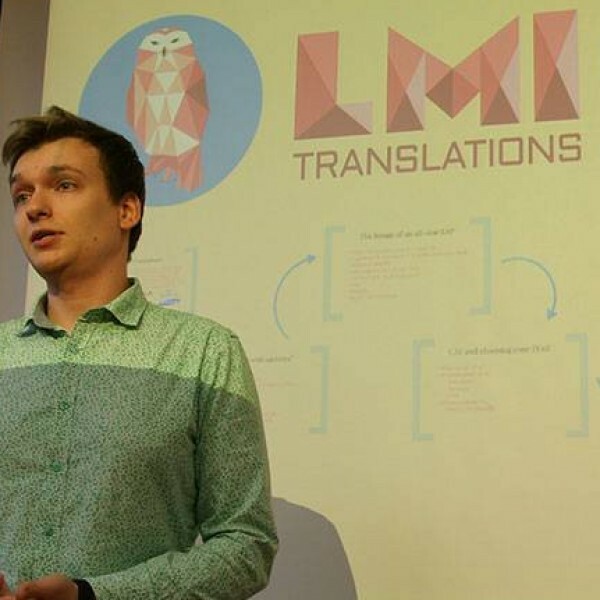 On 15 October 2015, Reinis Straume, the Technical Director of LMI Translations, visited the Faculty of Humanities of the University of Latvia to give his second lecture to the first-year students of the Written Translation programme. Previously, Reinis visited the Faculty on February 2015 to tell the first-year students of the Master’s study programme about the benefits of working with translation companies on a freelance basis and the characteristics and knowledge translation companies are looking for in their translators. He also spoke in general about the things happening behind the scenes of the translation industry from the viewpoint of both the translators and the project managers. We would like to thank all the attendees and Prof. Gunta Ločmele for the warm welcome. As you may already know, on 14 September 2015, translation company SIA Language Master International evolved into a new level of quality with a shorter and more expressive name – SIA LMI Translations – and a new visual identity. These changes are a natural evolution of our brand, finishing a long phase of growth and beginning the next one. When developing our visual identity and website, we carefully thought about what describes us best and what is most important to us. We realised that the main thing that makes us different from our competitors is how much we care about our customers and their needs. Working with us means great service, flexible and customized solutions and peace of mind about your translations. From now on, it will be even easier to contact us and find us on the web – all e-mail addresses include the short @lmi.lv domain, while the link to our website is www.lmi.lv. Use the free price quotation form* on our new website to apply for a quote and get a 5% discount on your order. *Filling the online form does not bind you to placing an order.